Our ETF portfolio has outperformed Harvard University and Stanford University's endowments. Those endowments are considered the world's best portfolios in terms of their size and return. They collectively hold over $60 billion in stocks, bonds, hedge funds, private equity, venture capital, leveraged buyouts, commodities, and real estate. Their investment performance are heavily followed on Wall Street. Sources: Vanguard Investments Canada, Harvard Management Company, and Stanford Management Company. Our ETF portfolio buys developed market stocks because their historical returns are significantly higher than emerging market stocks. The table below compares the performance of these two stock indexes. Together they cover the entire global stock market. Note: All returns are in Canadian dollars. Sources: FTSE Russell index fact sheets. Our portfolio buys ETFs that are not CAD-Hedged because their historical returns are significantly higher than ETFs that are CAD-Hedged. The table below compares this performance on developed market stocks. Our ETF portfolio buys Canadian bonds because their historical returns are higher than US bonds. The table below compares the performance of these two bond indexes, which cover the entire investment-grade bond market in both countries. Our ETF portfolio invests in 60% stocks and 40% bonds because the returns are significantly more stable over the long-term. This was especially true during the 2008 global financial crisis. The table below compares the yearly performance between a Balanced Portfolio vs. Stock Portfolio during that volatile period. Note: Balanced Portfolio = 30% VFV / 30% VDU / 40% VAB. Stock Portfolio = 50% VFV / 50% VDU. ​Sources: Vanguard Investments Canada, S&P Dow Jones Indices, and FTSE Russell index fact sheets. Our ETF portfolio invests half of its stocks into the S&P 500 Index, which covers the US market. This is because US stocks make up about 50% of the global stock market in terms of total market value. The table below compares the size of the markets in Canada, US, Europe, and Asia. Note: The total market value of the global stock market is about $51 trillion (US dollars). Our portfolio buys Vanguard ETFs because they have the lowest ETF expense. The table below compares the ETF expense of similar funds from other providers. Any changes to their current management fees have been accounted for. Sources: Vanguard Investments Canada, BMO Global Asset Management, and BlackRock Asset Management Canada. Imagine a box filled with hundreds of stocks. And buying this entire box is much cheaper than buying the stocks separately. This is essentially what an ETF is. Now why is it called an Exchange Traded Fund? It is a "fund" because it contains many investments inside. And it is "exchange traded" because you can buy it from the stock exchange. Let's take a look at an example. This ETF is traded on the Toronto Stock Exchange, and its symbol is VFV. This does not stand for anything. It is just a special symbol to identify this ETF on the stock exchange. Anyway, this ETF contains 500 of the largest companies in the United States, such as Microsoft, Google, Visa, Disney, and Walmart. And the price to purchase one unit of this ETF is around $65. This is amazing when you consider that Google's stock price is around $1,200. This ETF lets you buy all 500 companies even if you do not have a million dollars. To illustrate, if you only had $1,300 of savings, you could still buy 20 units of this ETF, which would invest your money in those 500 companies. In contrast, you would be putting your money at risk if you bought the companies separately. For example, you would have to spend $1,200 if you wanted to buy Google's stock. This would be a bad idea because you would be risking almost your entire savings in just one company. It would be better to purchase an ETF because it would spread your investment across hundreds of stocks. How is the price of an ETF lower than the cost of all the companies contained inside? Let's explain this with an analogy. 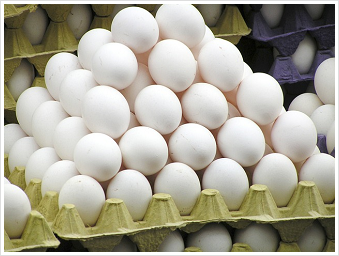 Imagine someone buying 500 eggs from the farmers' market. Next, they place the eggs into a large box and then divide it into millions of smaller boxes. Each of those small boxes can now be purchased by customers at an affordable price. The example ETF from the previous part of our guide went through the same process. Vanguard was the money manager that bought the stocks of 500 companies from the stock market. They placed the stocks into a fund and then divided it into millions of units. Each of those units can now be purchased by investors at an affordable price. The value of each unit moves equally with the value of the fund. In other words, if the large box grew 10%, then your small box would also grow 10%. Therefore buying this ETF provides the same results as buying the stocks of all 500 companies. To keep things simple, we have ignored the management fee that Vanguard charges for investing in their ETF. They charge a fee of 0.08% every year from their ETF. 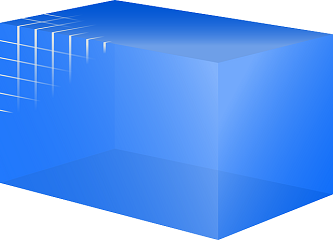 For example, if the large box grows 10% this year, then your small box will grow 9.92%. Overall this fee is very reasonable when you consider the number of companies that you are investing in. The Vanguard ETF contains 500 of the largest companies in the United States. You may be wondering why 500 companies. The answer is famously known as the S&P 500 Index. 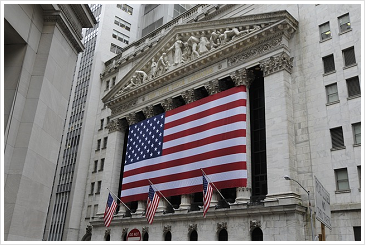 The S&P 500 Index shows the performance of the US stock market. It combines the stock prices of 500 companies into one large number. That number is reported on the news as it changes during each business day. It is a fast way of seeing how the stock market is performing. To illustrate, if the S&P 500 Index increased today, then you could see that the US stock market went up today. The S&P 500 Index is market-capitalization-weighted. This means that it simply combines all the companies based on the size of each company. For instance, Microsoft makes up 4% of the US stock market. Therefore a weight of 4% is given to Microsoft's stock. If the S&P 500 Index were a pie chart, then Microsoft would make up 4% of that pie. Google would make up 3%, Visa would make up 1%, Disney would make up 1%, Walmart would make up 1%, and so on. The Vanguard ETF copies the S&P 500 Index by using the same weights for those 500 companies. If you bought this ETF, then 4% of your money would be invested in Microsoft, 3% would be invested in Google, 1% would be invested in Visa, 1% would be invested in Disney, 1% would be invested in Walmart, and so on until all your money is invested in all 500 companies. As a result, investing in this ETF is the same as investing in the S&P 500 Index. This is important because many investment managers cannot beat that index. For example, they would invest in a small group of companies that they believe would perform better than the S&P 500 Index. And they would charge a high management fee. Unfortunately most of those managers have performed worse than the S&P 500 Index according to studies* done by Morningstar, a well-known investment research organization. The results of those studies also apply to other indexes. Therefore you should invest in the index because most investors cannot outperform it. To invest in ETFs, you need a self-directed investing account. Self-directed means that you control your investments. This account can be opened at any large bank in Canada. For example, you can open one with RBC Direct Investing, TD Direct Investing, Scotia iTrade, BMO InvestorLine, or CIBC Investor's Edge. There are different types of accounts to choose when you open a self-directed investing account. We recommend the Tax-Free Savings Account (TFSA). You can hold ETFs inside and let it grow without having to pay taxes. Furthermore, most banks charge a $100 annual fee when there is less than $15,000 in this account. Fortunately some banks do not charge any annual fee, such as CIBC Investor's Edge. Once this account is opened, you can start to invest in ETFs. Let's imagine that you have $1,000 cash in your TFSA with CIBC Investor's Edge. And you want to invest $300 in the Vanguard ETF. Before we explain the steps to buy an ETF, make sure that the Toronto Stock Exchange is open. It is open on business days from 9:30 am to 4:00 pm ET. When the stock exchange is open, you can follow the steps below. First, log in to your account and click on Trading. You will now see a page with some empty fields for you to fill in. Let's start in the Symbol field by typing in VFV (this symbol was introduced in the first part of our guide). In the Market field, select Canadian because you are buying from the Toronto Stock Exchange. Next, click the Get Real Time Quote button. You will now see information about the price for this ETF. You can also see that its full name is the "Vanguard S&P 500 Index ETF". Anyway, the Last price is what you are looking for. This is the current market price for one unit of this ETF. Let's assume that this price is $60 to keep things simple. You want to invest $300 in this ETF. Thus you need to buy 5 units. In the Action field, select Buy. In the Quantity field, type in 5. In the Order Price field, select Market because you want to buy this ETF at the current market price. In the Order Expiry field, select Order Good For Day because you want to buy this ETF today. When all this is done, click the Next button to review your order. You will now see that the Trade Value is $300. In addition, you have to pay a $7 commission each time you buy or sell an investment. Therefore you can see that the Commission is $7. This brings the total cost to $307. 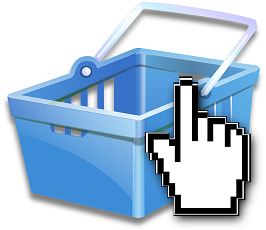 When you are done reviewing your order, type in your trading password and click the Submit Order button. Once you have submitted your order, you can click the View Order Status button. When you see that your order is Filled, then you have successfully invested in the Vanguard S&P 500 Index ETF. Congratulations for finishing the fourth part of our guide. You have gained an impressive amount of knowledge and skills, but this is not the end of your journey. There are hundreds of ETFs for you to choose from. Some ETFs contain stocks, while others contain bonds. But what are stocks and bonds? Which ETFs should you buy? And how much should you invest in each? Imagine an island with your name on it. This island is your paradise, and the only way to reach it is to sail a ship. Before you start your voyage, you need to decide which ship to take. You can choose a speedboat or a giant cargo ship. They both have enough fuel to reach your island. Which one should you take? The speedboat may reach your island faster, but it can sink during a storm. On the other hand, the giant cargo ship can survive a storm, but it moves very slow. Which ship is the right choice? The answer is both. Let's relate everything back to investments to explain this answer. Your paradise island is like your retirement goal. If you want to reach it, then you need to invest in stocks and bonds. But what are stocks and bonds? 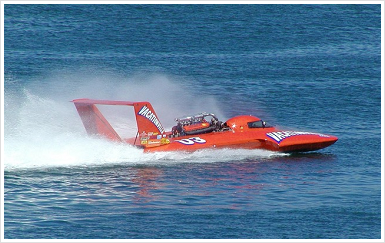 Stocks are like the speedboat. They can go up very quickly when the economy is stable. But during a storm, they can go down just as fast. On the other hand, bonds are like the giant cargo ship. They can stay up during a storm. But when the economy is stable, they can fall behind stocks. As a result, stocks and bonds tend to move in opposite directions. When stocks go up, bonds go down. And when stocks go down, bonds go up. It is important to invest in both to create a smooth ride to your retirement goal. And this is why choosing both ships is the right choice. Now let's explain what stocks and bonds really are. Stocks are shares of ownership in a company. For example, if you bought Microsoft's stock, then you would own a share of the company. Its stock will move up or down depending on how well Microsoft performs. Now let's talk about bonds. Bonds are loans to a company or government. Thus there are two types of bonds. They are corporate bonds and government bonds. For example, if you bought Microsoft's corporate bond, then you would be lending money to Microsoft. And if you bought Canada's government bond, then you would be lending money to the Canadian government. You would be paid interest in the meantime for letting them borrow your money. Overall, stocks and bonds have different levels of risk. Stocks have the highest risk because the company may not be successful in the future. Its stock would go down to zero if the company went bankrupt. In contrast, corporate bonds have less risk because the company promises to return your money. If they went bankrupt, they would sell their property to pay back your bonds. And finally, government bonds have the lowest risk because the government can collect taxes to repay your bonds. You know that both the speedboat and the giant cargo ship are needed to reach your paradise island. You can only sail one ship. So how can you take both? The answer is to build a new one by combining them together. Your new ship needs to be fast and be strong enough to survive a storm during its voyage. It should have the right mix of both the speedboat and the giant cargo ship. To find the right mix, we need to compare it with the world's best ship. If your new ship can perform like the world's best ship, then you can be confident in reaching your island quickly and safely. Now let's relate everything back to investments. Once again, stocks are like the speedboat, and bonds are like the giant cargo ship. And your investment portfolio is like your new ship. Your portfolio is your collection of investments. It should have the right mix of stocks and bonds. Thus you can be confident in reaching your retirement goal quickly and safely. But what is the right mix of stocks and bonds? To answer this, let's explain what the world's best ship is. The world's best ship refers to the endowments of colleges and universities in the United States. 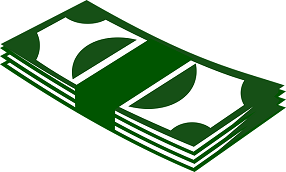 Endowment is the money that schools use for investing. In other words, it is their investment portfolio. Those endowments have performed very successfully. As a result, many people see them as the world's best investment portfolios. This is especially true for top schools such as Harvard University and Stanford University. Those endowments mix together many complex investments. But a complex portfolio does not mean that it will have the best performance. A simple portfolio with a mix of 60% stocks and 40% bonds has performed as successfully as almost all endowments, according to research* done by Vanguard. This is because a simple portfolio charges a much lower management fee. Therefore the right mix of investments is 60% stocks and 40% bonds. You only need three ETFs in your investment portfolio. You already know that the first ETF has the symbol VFV. It contains 500 of the largest companies in the United States, such as Microsoft, Google, Visa, Disney, and Walmart. The name of this ETF is the "Vanguard S&P 500 Index ETF", and it has a management fee of 0.08% every year. So what are the other two ETFs? We will introduce them to you now. 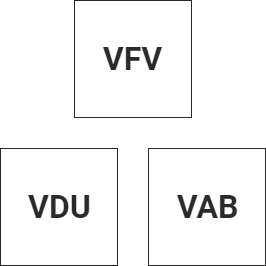 The second ETF has the symbol VDU. It contains 3,900 of the largest companies in developed economies around the world. This includes companies in Canada, Europe, and Asia, such as Royal Bank of Canada, Nestle, Adidas, Samsung, and Toyota. This ETF does not contain any companies in the United States. Therefore it will not repeat your investment in the first ETF. The name of this ETF is the "Vanguard FTSE Developed All Cap ex U.S. Index ETF", and it has a management fee of 0.20% every year. Finally the third ETF has the symbol VAB. It contains 900 bonds in Canada. It includes mostly Canadian government bonds and some Canadian corporate bonds. The name of this ETF is the "Vanguard Canadian Aggregate Bond Index ETF", and it has a management fee of 0.08% every year. As you can see, all three ETFs have the phrase "Index ETF" in their names. Furthermore, they are all market-capitalization-weighted. Why is this important? Remember that most investors cannot outperform the index. Thus you should simply invest in the index. And these are the ETFs that let you do that. You may wonder why all three ETFs are provided by Vanguard. This is because Vanguard charges the lowest management fee compared with other ETF providers. ​For example, BMO and iShares have also created ETFs that invest in the S&P 500 Index. Their ETFs also contain 500 of the largest companies in the United States. Unfortunately they have a higher Management Expense Ratio (MER). Remember that a simple portfolio, with a mix of 60% stocks and 40% bonds, can perform like the world's best investment portfolios. Therefore you should make your portfolio simple too with the three ETFs that we have mentioned. But how much should you invest in each ETF to create that same mix of stocks and bonds? Let's start with bonds. Of the three ETFs that we have discussed, only one of them contains bonds. This is the one with the symbol VAB. Thus 40% of your portfolio should be invested in this ETF to create that same bond mix. Stocks should make up the other 60% of your portfolio. There are two ETFs remaining, and they both contain stocks. The one with the symbol VFV contains stocks in the United States. And the one with the symbol VDU contains stocks in the rest of the world. So how much should you invest in each? Remember that a market-capitalization-weighted index simply combines all the companies based on the size of each company. Furthermore, most investors cannot outperform the index. Therefore you should follow this simple method as well. The US stock market makes up about half of the global stock market. As a result, half of your stock mix should be invested in the United States, and the other half in the rest of the world. 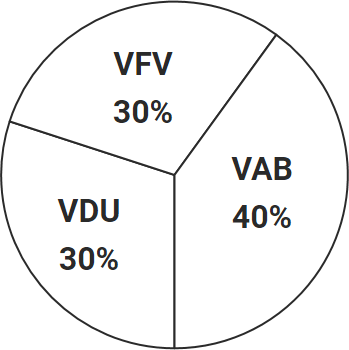 Your investment portfolio should have 30% in VFV, 30% in VDU, and 40% in VAB. For example, if you have $1,000 to invest, then you should put $300 in VFV, $300 in VDU, and $400 in VAB. This simple portfolio has an overall Management Expense Ratio (MER) of 0.12% every year. The MER includes the management fees and other expenses that Vanguard needs to operate its ETFs. For example, if you have $1,000 invested in this portfolio, then you will have to pay $1.20 every year to Vanguard. This MER is very reasonable when you consider the number of investments that you have. In fact, your portfolio contains 4,400 of the largest companies in developed economies around the world. This includes companies in the United States, Canada, Europe, and Asia. In addition, it contains 900 government and corporate bonds in Canada. Congratulations for finishing the eighth part of our guide. You have achieved something very important. Your simple portfolio only has three ETFs, but it is highly diversified and low-cost. What this means is that you are finally investing like a pro. You have finished building your new ship. 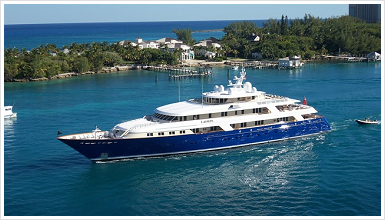 It is time to start sailing to your paradise island. This will be a long voyage, and you will encounter storms along the way. So you wonder how will your ship perform. It is difficult to predict the future, but we can look at how similar ships have performed in the past. Therefore we can get an idea of how your ship may perform in the future. Now let's relate everything back to investments. You have finished creating your simple portfolio, which has a mix of 60% stocks and 40% bonds. This mix provides a good balance between growth and safety. As a result, it will help create a smooth journey to your retirement goal. This is why your simple portfolio is also called a balanced portfolio. But how will it perform in the future? The future is difficult to predict, but we can look at how balanced portfolios have performed in the past. Therefore we can get an idea of how your portfolio may perform in the future. Historically, a balanced portfolio has a 5% annualized return over the long-term. This is based on economic studies* done by TD Bank, one of the largest financial institutions in Canada. A 5% annualized return may sound small, but you will be surprised by how much your money can grow over the long-term. Imagine that you invest $1,000 and let it grow 5% every year. After 10 years, you will have around $1,630. And after 20 years, you will have around $2,650. As you can see, 5% can make a big difference over the long-term. In reality, a 5% annualized return does not mean your portfolio will grow exactly 5% every year. For example, during the financial crisis in 2008, your portfolio would have lost around 20%. But right after the crisis in 2009, it would have gained around 20%. Thus the actual return each year can be very different. So how did they come up with that 5% number? Let's answer this with an example. Imagine that you had invested $1,000 in a balanced portfolio in the beginning of 2008. By the end of 2018, it would have grown to around $1,630. So how did it perform? Over that 10-year period, your $1,000 grew to $1,630. A quick way to summarize that performance is to calculate the annualized return. In other words, how much does your portfolio need to grow each year, for 10 years, to reach $1,630? The answer is 5%. 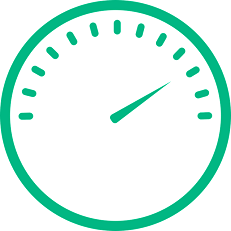 That number quickly shows the performance of your portfolio from 2008 to 2018. The actual return each year was very different, but overall it had a 5% annualized return. Now you understand how that number was determined. Furthermore, that 5% annualized return would only have been achieved if you had stayed invested for the long-term, even during a crisis. For example, imagine that you had invested $1,000 in a balanced portfolio in the beginning of 2008. This was right before the financial crisis. If you had panicked and sold your investments during the crisis, then you would have ended with around $800, a loss of $200. And you would have missed the gains in the following years that would have recovered more than your loss. There is one last question that you may have. During the crisis, your balanced portfolio would have lost around 20%. And then it would have gained around 20% in the following year. How is that considered a smooth journey? Let's compare it with a portfolio that has a mix of 100% stocks. During the crisis, that stock portfolio would have lost around 40%. And then it would have gained around 30% in the following year. As you can see, your balanced portfolio would have created a much smoother journey for you. Fantastic. You have completed the ninth part of our guide. Now you know what to expect during your long voyage. And when you encounter a storm, you will be prepared to stay invested like a pro. Therefore you can expect a 5% annualized return from your portfolio over the long-term. Your paradise island is far away. Fortunately you have a compass, and you know which direction it is in. You begin your journey by steering your new ship towards your island. This will be a long voyage, so your ship will drift off course over time. Therefore it is important to check your compass to see if you need to steer back in the right direction. Now let's relate everything back to investments. Your balanced portfolio has a mix of 60% stocks and 40% bonds. This mix will help create a smooth journey to your retirement goal. Remember that this mix can perform like the world's best investment portfolios. As a result, 60% stocks and 40% bonds is the right direction to your paradise island. In addition, remember that stocks and bonds tend to move in opposite paths. When stocks go up, bonds go down. And when stocks go down, bonds go up. This will cause your portfolio's mix to drift off course over time. For example, imagine that you created your portfolio one year ago. Stocks went up and bonds went down this past year. Thus its mix might now be 70% stocks and 30% bonds. 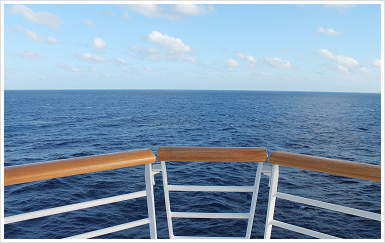 Your portfolio has drifted off course, and it needs to be steered back in the right direction. How can you do this? You need to sell 10% of your portfolio from stocks. And then use that amount to buy bonds. This will bring it back to 60% stocks and 40% bonds. This process is called rebalancing your portfolio. Now you may wonder, how often should you rebalance. And what will happen if you never rebalance? According to research* done by Vanguard, you should rebalance once a year. Otherwise your portfolio may significantly drift off course over time. Let's illustrate this by using the same example from the previous part of our guide. Imagine that you had invested $1,000 in a balanced portfolio in the beginning of 2008. If you had rebalanced annually, then it would have grown to around $1,630 by the end of 2018. And if you had never rebalanced, then it would have grown to around $1,530 by the end of the same year. As you can see, you would have ended with $100 more by rebalancing annually. That difference may seem small, but it can become very significant. If you had started with $3,000, then that difference would have been $300. And if you had started with $5,000, then that difference would have been $500. That is your money and every amount helps towards reaching your retirement goal. Finally why does your portfolio grow larger when you rebalance it annually? The answer is simple. You are buying low and selling high. To illustrate, let's look back at the example when your portfolio's mix changed to 70% stocks and 30% bonds. This was caused by stocks going up and bonds going down during the past year. Thus you rebalanced by selling some stocks and buying some bonds. Now imagine that another year passed by. This time bonds went up and stocks went down. Thus you would rebalance by selling some bonds and buying some stocks. As you can see, you are essentially buying low and selling high when you rebalance your portfolio every year. This is why it will grow larger compared with one that is never rebalanced. Excellent work for finishing the tenth part of our guide. 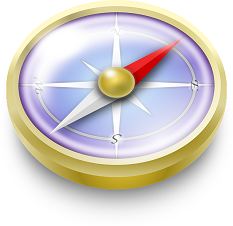 Checking your compass once a year is enough to make sure your ship stays in the right direction. Therefore you do not need to worry about constantly steering your ship. This will help you stay invested like a pro and create a smooth journey to your retirement goal. You are sailing towards your paradise island. Unfortunately your ship will get heavier over time and start to slow down. You need to make sure your ship does not collect too much extra weight. Therefore you can reach your island more quickly. Now let's relate everything back to investments. 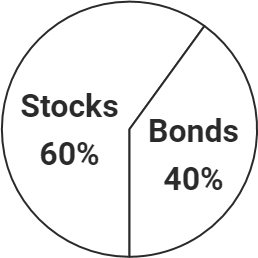 Your balanced portfolio has a mix of 60% stocks and 40% bonds. When you invest in stocks and bonds, you will earn dividends and interest over time. Both of those earnings are paid in cash. Thus you will start to collect cash in your portfolio. Unfortunately cash by itself does not grow. It just sits there like an extra weight slowing you down. If you want your portfolio to grow more, then you need to invest it back into stocks and bonds. In other words, you are reinvesting your cash. Therefore you can reach your retirement goal more quickly. Let's take a look at an example. Imagine that you invest $1,000 in a balanced portfolio. And assume that your investments remain stable and earn 5% every year. One year later, you earn $50 in cash. Now you have two choices. You can let it sit in your portfolio. Or you can invest it back into stocks and bonds. If you go with the first choice, then you will earn $50 next year. And if you go with the second choice, then you will earn $52.50 next year. Why do you earn more after reinvesting your cash? Let's take a closer look at your portfolio. If you went with the first choice, your portfolio would contain $50 cash and $1,000 in investments. If you went with the second choice, it would contain $0 cash and $1,050 in investments. Remember that only your investments earn 5% every year, while your cash earns nothing. This is why you will earn $2.50 more next year after reinvesting. That difference may seem small, but it can become very significant over the long-term. To illustrate, let's continue with the example above and assume that you reinvest your cash annually. After 10 years, your portfolio will grow $130 larger compared with one where you never reinvest. And after 20 years, it will grow $650 larger in comparison. As you can see, reinvesting can help your portfolio grow more over the long-term. Well done. You have completed the eleventh part of our guide. When you reinvest your cash, you are staying fully invested like a pro. This will help keep your ship from slowing down. Therefore you can reach your paradise island more quickly. You have to pay a commission each time you buy or sell an investment. Most banks charge a $10 commission for each trade. For example, if you want to buy the three ETFs that we have mentioned, then you need to place three trades. Thus you have to pay $30 in commissions. You also need to trade when you rebalance your portfolio, reinvest your cash, or invest your extra savings. As a result, commissions can become expensive. Fortunately there is a way to reduce the number of trades that you need to make. The answer is to combine those transactions and rebalance once a year. Let's illustrate this with a detailed example. Imagine that it is the beginning of 2008. And you have just invested $1,000 in a balanced portfolio, which has a mix of 60% stocks and 40% bonds. One year later, during the financial crisis, your portfolio goes down to $825. It now contains $400 in stocks, $400 in bonds, and $25 in cash. Your portfolio's mix has changed to around 50% stocks and 50% bonds. Thus you need to rebalance it. You have also earned $25 from your investments. Thus you need to reinvest that cash as well. And finally, imagine you have $175 of extra savings that you want to invest. Your portfolio now contains $400 in stocks, $400 in bonds, and $200 in cash. Its mix is now 40% stocks, 40% bonds, and 20% cash. To rebalance it, you need to invest that $200 into stocks. This will bring your portfolio's mix back to 60% stocks and 40% bonds. Remember that your stock mix is divided equally between two ETFs. Those ETFs have the symbols VFV and VDU. Therefore you need to place two trades to invest $100 in each of those ETFs. With just two trades, you have rebalanced your portfolio, reinvested your cash, and invested your extra savings. As a result, you have reduced the number of trades that you need to make by combining those transactions and rebalancing once a year. Congratulations for finishing the twelfth part of our guide. You have finally gained the knowledge and skills to invest like a pro. This may be the end of your journey, but our guide will always be here to help you. Therefore you can reach your retirement goal with confidence over the long-term. And one day, you can look back at this journey on your paradise island.